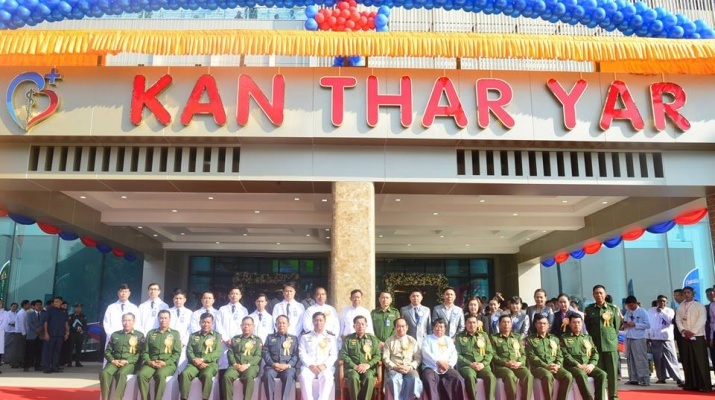 A ceremony to inaugurate Kan Thar Yar International Specialist Hospital of Myanmar Economic Corporation took place at the venue at No 87 near the bund of Inya Lake at 6½-mile on Pyay Road in Yangon this morning, attended by Commander-in-Chief of Defence Services Senior General Min Aung Hlaing. 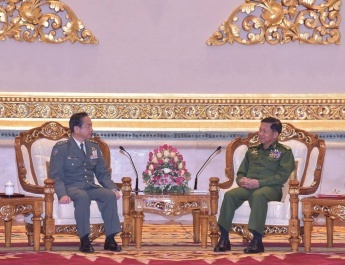 Also present at the ceremony together with the Senior General were Union Mini-ster for Health and Sports Dr Myint Htwe, Commander-in-Chief (Navy) Admiral Tin Aung San, Commander-in-Chief (Air) General Khin Aung Myint, senior military officers from the Office of the Commander-in-Chief (Army), the commander of Yangon Command, Chairman of Yangon City Development Committee Mayor U Maung Maung Soe, ministers of Yangon Region government, officials of Myanmar Economic Corporation and invited guests. 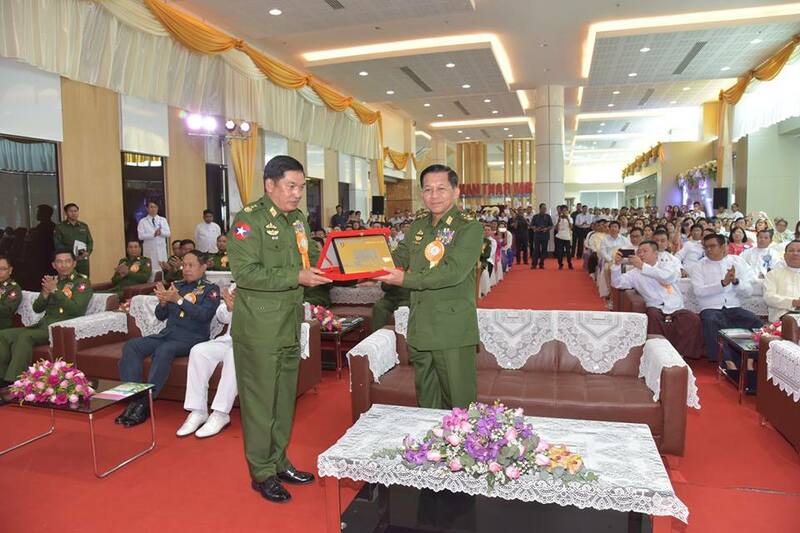 First, Union Minister for Health and Sports Dr Myint Htwe, Chairman of Myanmar Economic Corporation Quartermaster-General Lt-Gen Nyo Saw and YCDC Chair-man Mayor U Maung Maung Soe cut the ribbon to open the ceremony. 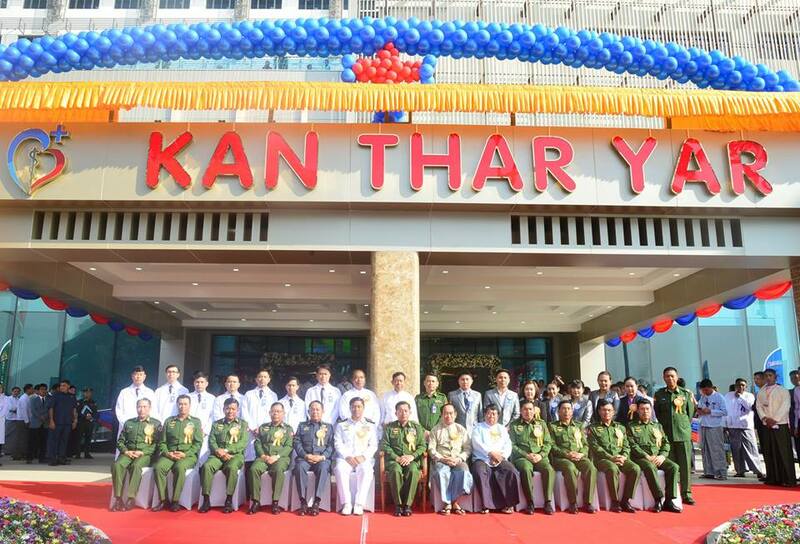 Senior General Min Aung Hlaing pressed the button to unveil the signboard of Kan Thar Yar International Specialist Hospital. Afterwards, they all posed for documentary photo. 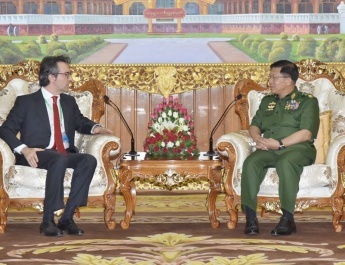 Director of Projects U Khin Maung Soe of Myanmar Economic Corporation reported on vision, mission and services of the hospital through powerpoint and video presentation. 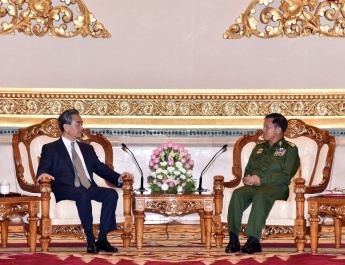 Chairman of MEC Quartermaster-General Lt-Gen Nyo Saw presented the emblem in commemoration of the opening of the specialist hospital. Later, those present visited the hospital. 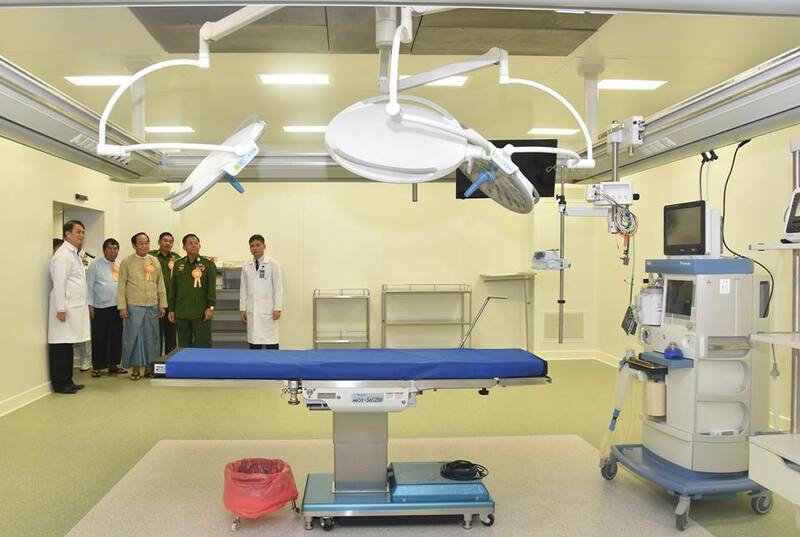 The newly-opened specialist hospital is located at No 87 near the bund of Inya Lake at 6½-mile on Pyay Road in Yangon. The hospital aims to provide comprehensive health care services for heart and kidney diseases to the patients as the one-stop service centre, enable the citizens to conveniently have medical treatment at home instead of foreign countries at fair costs, contribute towards the proper ratio of hospitals to patients and generate jobs for local people, and give treatment to the people with the use of modern pathological machinery and advanced technologies. The specialist hospital is formed with out-patient cardiology department, out-patient Nephro Uro department, cardiovascular department, haemodialysis department, cardiac special intensive care department, emergency department, and operation theatres. In performing pathological examination, expert professors and surgical specialists give the best services to the patients with the use of machinery meeting international standards round the clock.